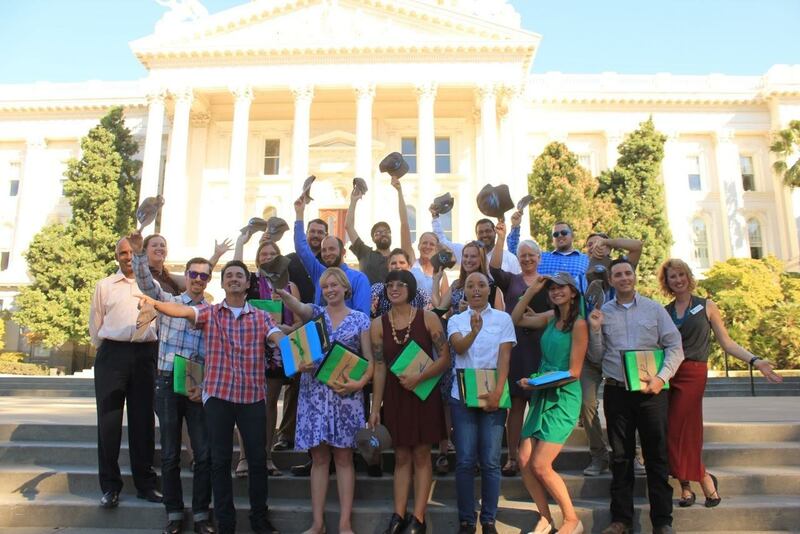 The California Farm Academy, a part-time, seven-month, beginning farmer training program run by the Land-Based Learning, graduated 18 new farmers on Sunday, September 18, 2016. With more than 250 hours of classroom and field training behind them, these enterprising graduates were honored by notables such as Karen Ross, secretary, California Department of Food and Agriculture (CDFA); Craig McNamara, president and owner of Sierra Orchards, as well as president of the California State Board of Food and Agriculture; Sri Sethuratnam, director, California Farm Academy (CFA); and Mary Kimball, executive director, Center for Land-Based Learning, based in Winters California. 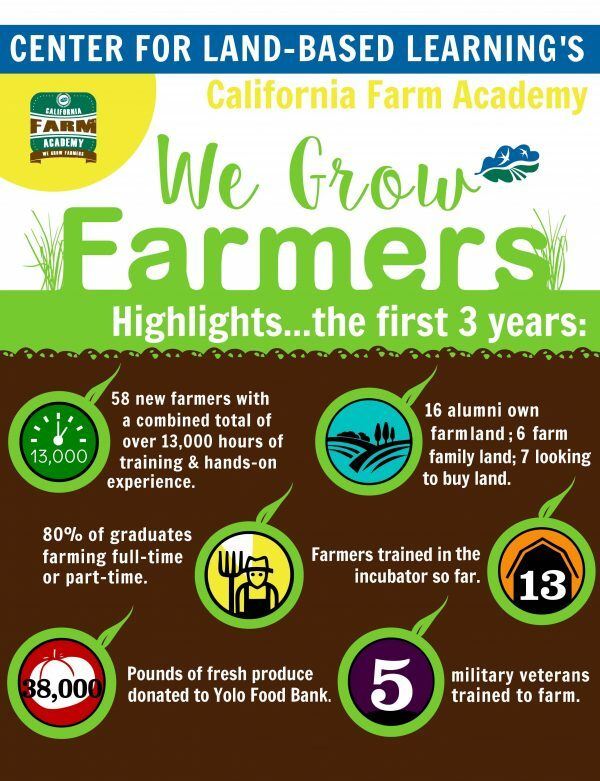 Eighteen new farmers graduated from California Farm Academy’s beginning farmer training program run by the Center for Land-Based Learning. “The impetus of our program,” said Christine McMorrow, director of development for Land-Based Learning, “is the need for more farmers as the current ones age out. According to the USDA, over 700,000 new farmers will be needed in the next 20 years to replace those who retire. CFA teachers, farmers, academic faculty and staff, and agricultural, natural resource and business professionals, teach CFA students basic production agricultural practices; crop planning; soil science; pest management; organic agriculture; irrigation and water management; marketing; ecology and conservation; obtaining loans, insurance and permits; farm financials; human resource management; risk management; farm safety; regulatory compliance and problem-solving. McMorrow stated, “These folks have been with us since February, following a rigorous application process. A lot of these folks either have land they have dreamed of farming but did not know how to put it into production. Some of them come from farming families, but they wanted to get involved in the family business on their own. They may have been in a different career and now want to do something new or different. Perhaps they haven’t studied agriculture or they have not seen much agriculture other than what their family does, so this is an opportunity for them to learn and to explore a new business idea. “Our graduating farmers, who range in age from their late 20s to early 50s, each wrote a business plan and presented it to folks within the agriculture industry,” said McMorrow. “They also planted some of their own crops on a farm in Winters. The Center for Land-Based Learning exists to cultivate opportunity. For the future of agriculture.